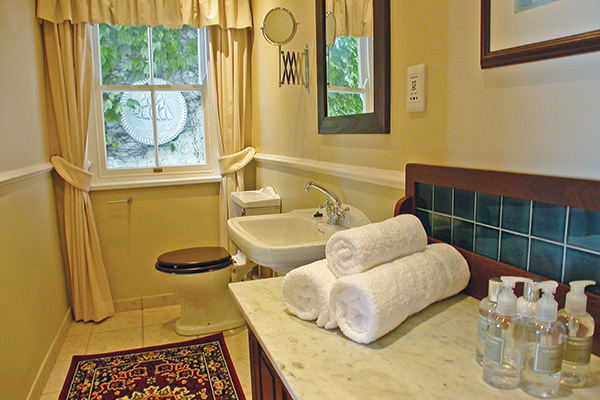 The Garden Apartment is boutique accommodation at its best and exudes a uniquely cozy and welcoming atmosphere. 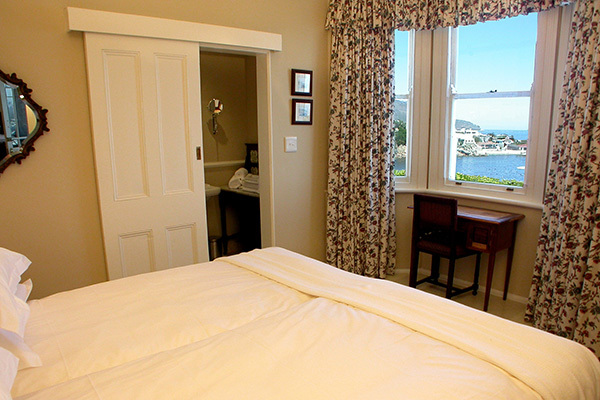 Two beautifully appointed bedrooms with showers en suite each boast wonderful mountain & sea view. 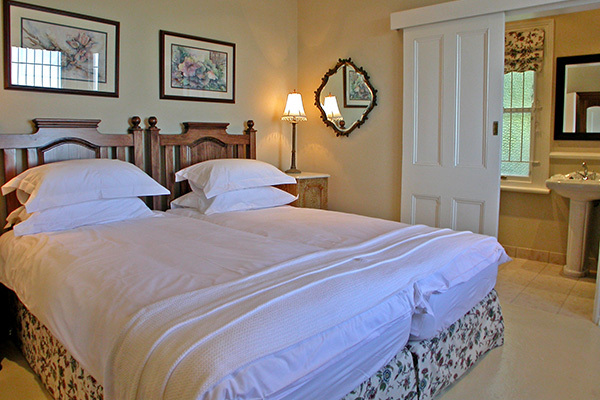 The main bedroom has a king sized extra length bed and the 2nd bedroom has twin beds which can be made up as a double bed, if requested before arrival. A fully equipped kitchen offers all modern conveniences and the combined sitting/dining area spills out onto a private patio where meals or cocktails can be enjoyed while soaking up the beauty of the sea and sunset. There is also an outdoor shower and a private bath area for the unique experience of bathing under the African stars with the surf pounding on the rocks below. Antiques, original artworks, and beautiful vintage furniture from the 1920’s are creatively coupled with modern conveniences to make this unique space feel like home! 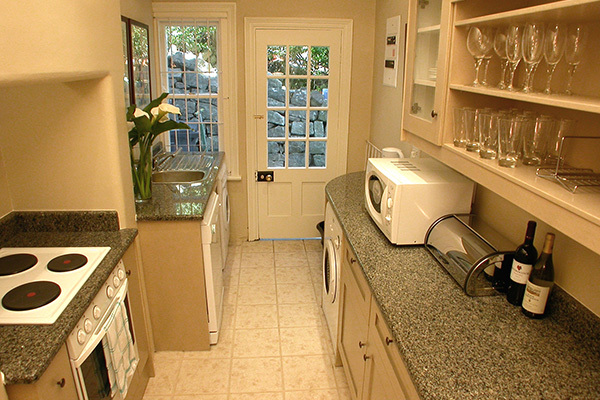 There are fans and heater panels in every room, the original fireplace, electric blankets in winter, WiFi Internet, cable TV, DVD player, an armed response alarm system, dedicated off road parking bay and electronic entrance gate. Bingley Place is fully serviced 5 days a week, so there is no need for you to clean or even make your beds while holidaying. 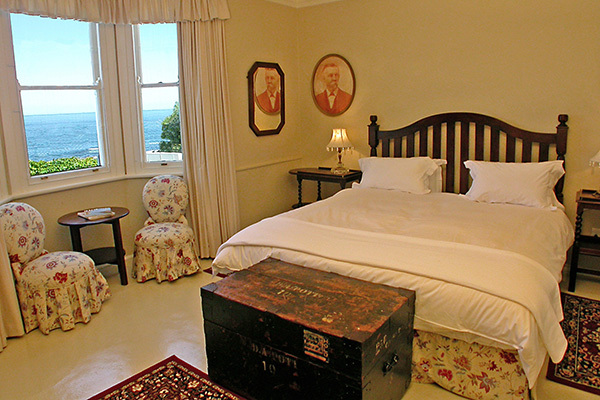 This spoiling, coupled with the amazing views, Barley Bay Beach directly across the road, the intimate Theatre on the Bay virtually next door, a 320 m stroll to the famous Camps Bay beach with its trendy promenade of pavement cafes, restaurants, bars and shops, makes Bingley Place’s Garden Villa the perfect destination for your Cape Town stay!